Bangladesh Institute of Nuclear Agriculture (BINA) a research organisation in the National Agricultural Research System under the Ministry of Agriculture, Government of Bangladesh. The institute originated in the form of Atomic Energy Agricultural Research Centre, Dhaka, established by the Pakistan Atomic Energy Commission in 1961. After 1972, the institute was renamed as the Institute of Nuclear Agriculture (INA) under the newly formed Bangladesh Atomic Energy Commission, and started functioning from July 1972. 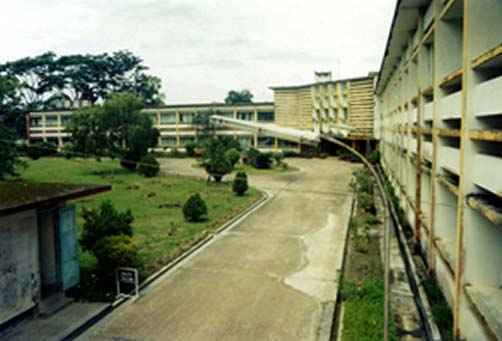 After construction of office and laboratory buildings at the Bangladesh Agricultural University Campus, Mymensingh, the institute (INA) was shifted to its present site in 1975 and the name was changed to Bangladesh Institute of Nuclear Agriculture. In addition, an administrative and support service wing, the institute has eight scientific divisions viz. Plant Breeding and Genetics, Soil Science, Crop Physiology, Entomology, Plant Pathology, Agronomy, Agriculture Engineering, and Training, Communication and Publication. The institute has five sub-stations located at Comilla, Rangpur, Ishwardi, Magura, and Khulna. There is also one annex farm located at Jamalpur. The present manpower of the institute is about 404 of whom 97 are scientists. BINA has a 60'C gamma radiation source with a capacity of about 8,000 Curie. The objectives and functions of the institute are: to undertake research adopting nuclear techniques for the purpose of ensuring a stable and productive agriculture through development of new varieties of crops, scientific management of land and water, development of appropriate technology to improve quality and quantity of crops, and development of methods for control of disease and management of pests; to undertake agronomic and soil-plant studies; to carry out demonstration tests or trial runs of new varieties of crops and their management practices; to undertake research programmes in collaboration with national and international agencies and organisations; and to enter into bilateral agreements with foreign institutions for academic degrees, specialised training, scientific visits and exchange programmes. The Institute is administratively managed by a Board consisting of 14 members, with the Minister, and the Secretary, Ministry of Agriculture, as Chairman and Vice-Chairman, respectively, and the Director General of BINA as Member-Secretary. The scientists of the institute have been successful in developing over 2 dozens high-yielding varieties of crops, including rice, jute, mustard, chickpea, mungbean, black-gram, and tomato which are now being used by farmers. The institute has also developed low cost, environment-friendly biofertilisers for six legume crops, viz, lentil, chickpea, groundnut, mungbean, cowpea, and soybean.